What Do I Do With All These Empty Bottles? I had recently brewed my own beer and had been saving beer bottles for the next batch of brew. I just moved and don't have the space to brew any new beer at the moment so I'm left with a huge box of empty beer bottles. I've been wondering of things I can do with these bottles other than throw them away in the dumpster. I found some really interesting new ideas for how to reuse and recycle them. When I heard of beer bottle countertops the image in my head wasn't appealing. But when I saw pictures of the actual countertops I was very impressed. The broken glass from beer bottles gives the countertop a unique look. 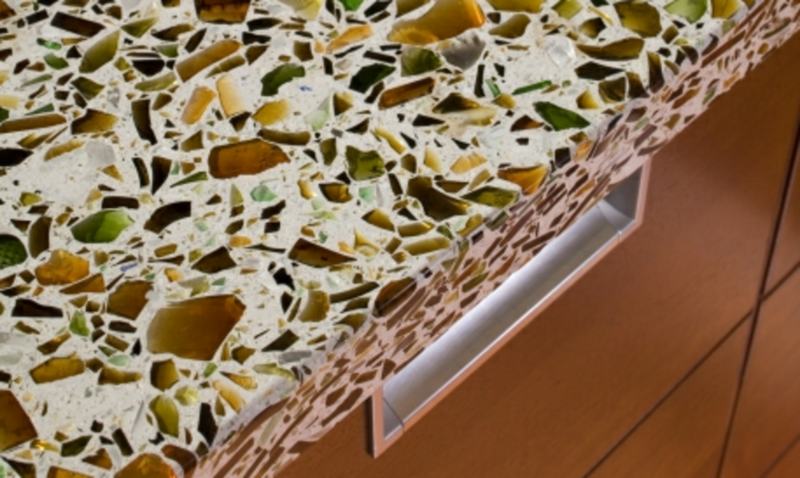 A company named Vetrazzo makes these countertops with different colors of glass all out of recycled beer bottles. 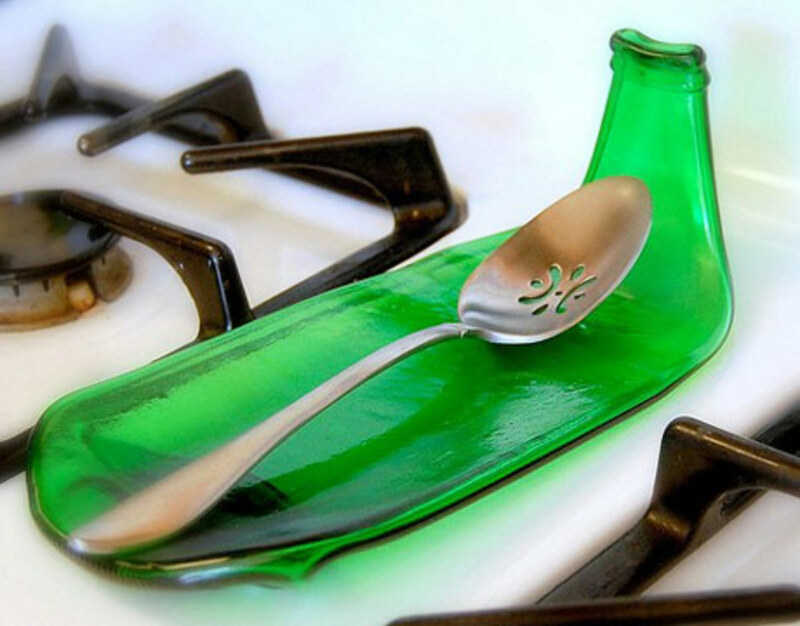 The glass beer bottle spoon rests might be useful. Especially since I melted the plastic spoon rest that my wife had. Oops. I've seen these at art festivals around town and have thought about making one myself. To make your own you would need a kiln to melt the beer bottles into the shape of a spoon rest. If you don't have a kiln, which I don't, maybe you can go to an art school or art studio and rent time on a kiln. This might be a cool project. I love these. These would be easy to make if you have a way to cut the bottle. I've seen kits designed specifically for cutting bottles on Ebay. If you don't want to buy a tool to cut you could try cutting it with string. Simply tie a string around the area of the bottle that you want to cut. Then pour a bit of kerosene on the string. Light it and let it burn around the area. It will break along the line of the string. If you use the string method the edged might need to be sanded down so you don't cut your lips off. I like the way the beer bottle coasters look. I don't know if they would be any use to me though. My drinks sweat so much that these coasters would just make big puddles of water. I need something that will soak up the water a bit more. I like the way it looks with the beer bottles, but I don't think it would be practical for me. The beer bottle chandelier is a really unique idea for a bar, game room or your wedding. I see them in the bars of local Mexican restaurants and I really like the way they look. Different companies sell the kits that you can buy and put your bottles on to make your own chandelier. Some places even have chandelier kits to use wine bottles. While I think these beer bottle chandeliers are interesting, having one in your dining room would probably just tell your dinner guests that you're an alcoholic. This seems like more of a project for my wife. Hot glue and wrap yard around the glass bottle for a unique looking vase. I admit they do look neat with the yarn around them. 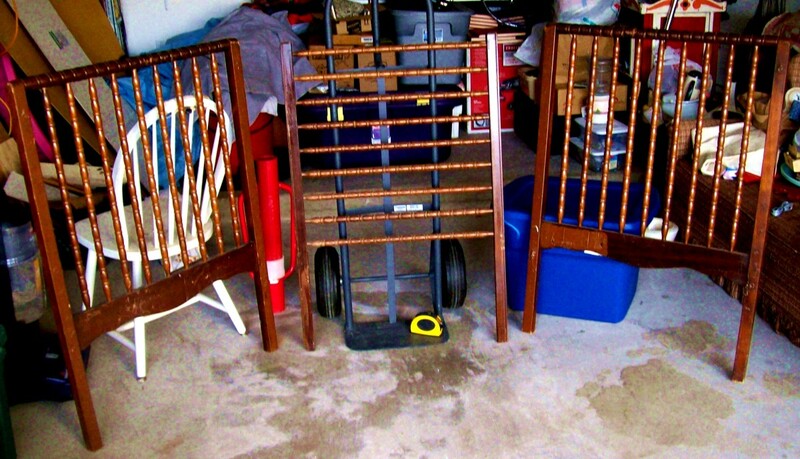 Awesome repurposing ideas. I often use old beer bottles for decoration, and even clean and reuse the bottles for when I make my own beer. 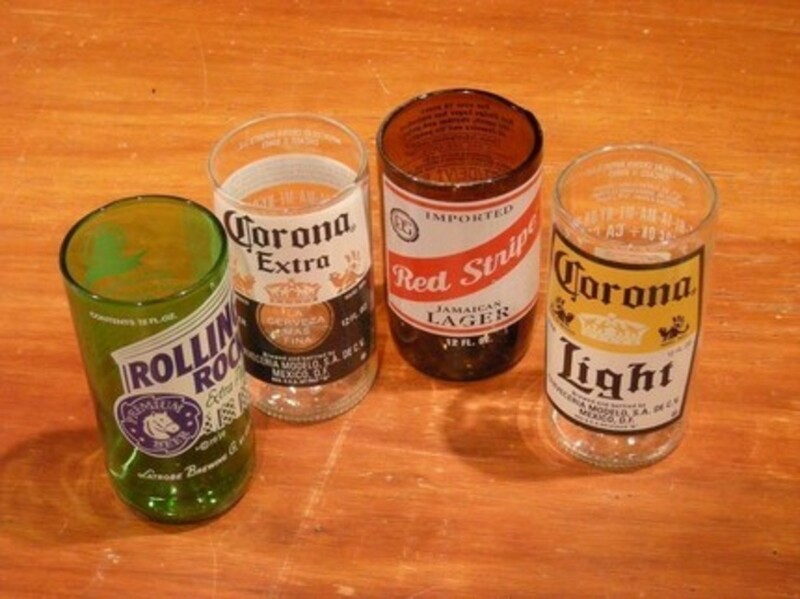 The beer bottle glasses look like a fun project. I might try it. Thanks for bringing these ideas to our attention. 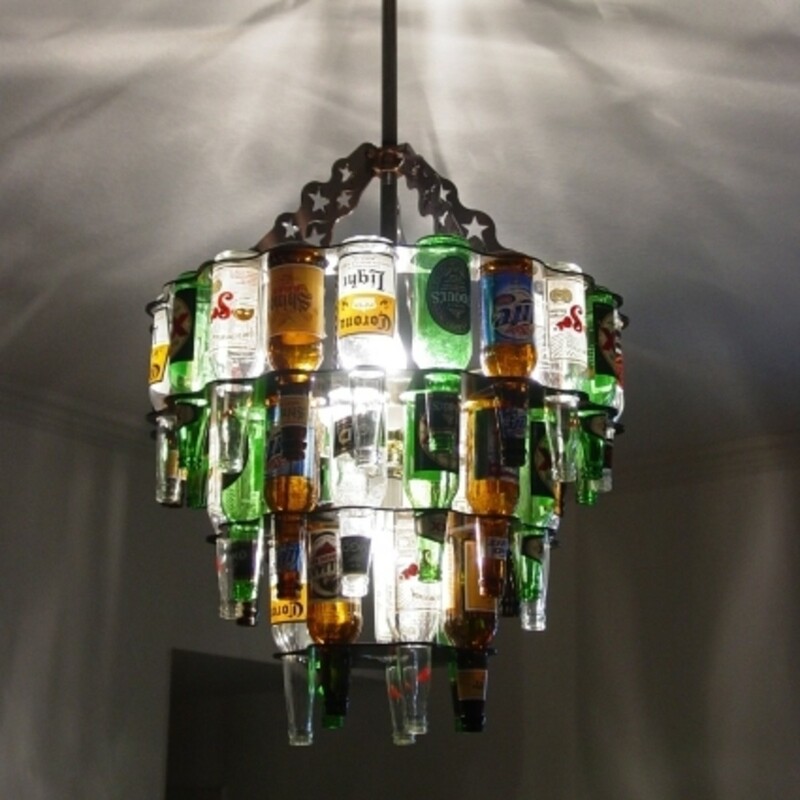 Using beer bottle as chandelier I think is a great idea. Excellent and very creative stuff here. This was a great hub! Anyway, I love the counter top! 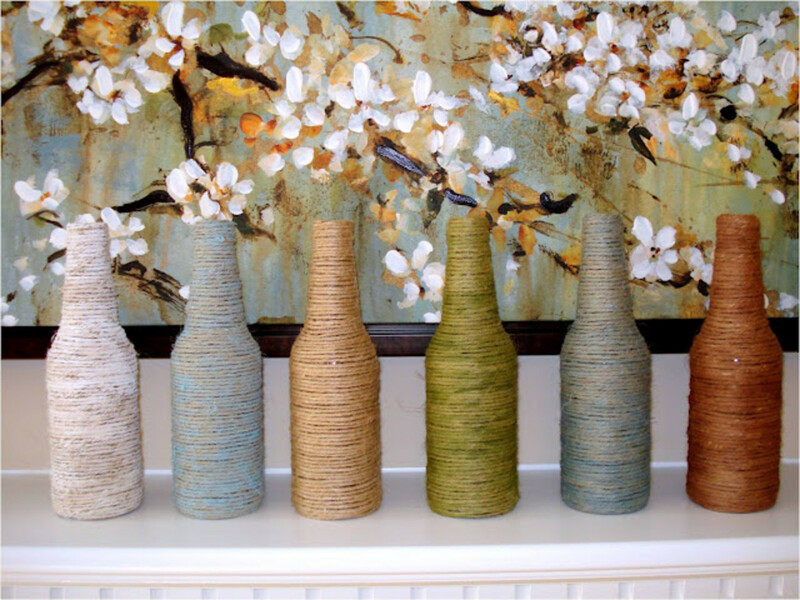 I also like the yarn vases and will probably try that myself. 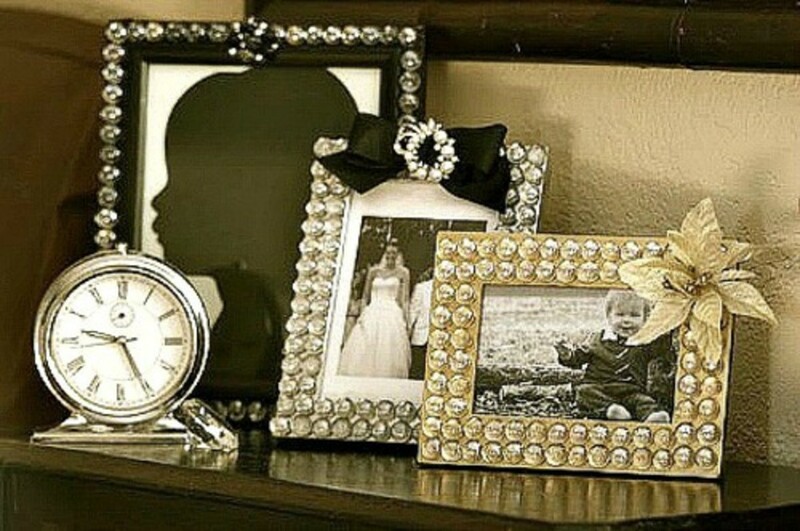 Very creative. chrissieklinger Thanks for stopping by. That countertop is pretty cool. I think it'd be perfect for an outdoor kitchen. Lipnancy Thanks for the vote! I must admit that the counter top looks real pretty. What Awesome ideas! Voted Up. I love the countertop idea and my husband drinks a lot of different beer brands so we could totally do something like that! Awesome ideas! I know sooo many people who could keep beer bottle crafters in business for years! These were amusing and yet great ideas. I like the way you wrote this hub and of course your 'recycling' ideas are top notch. @lmpowelljr my wife put Christmas lights in a wine bottle one year. I thought it was a nice look. My uncle cut a hole in the bottom, fed a string of Christmas lights through it. Instant Christmas décor or all year night light. Great job with this topic! I love articles about recycled art. WOW! These ideas are killer! I can't wait to try them out. My friend has a beer bottle collection that he is trying to turn into something cool. I am definitely sending this to him on Facebook. Great work! These are great! Love the countertop. @unknown spy Thanks for stopping by! @precy anza Thanks for stopping by and the votes! 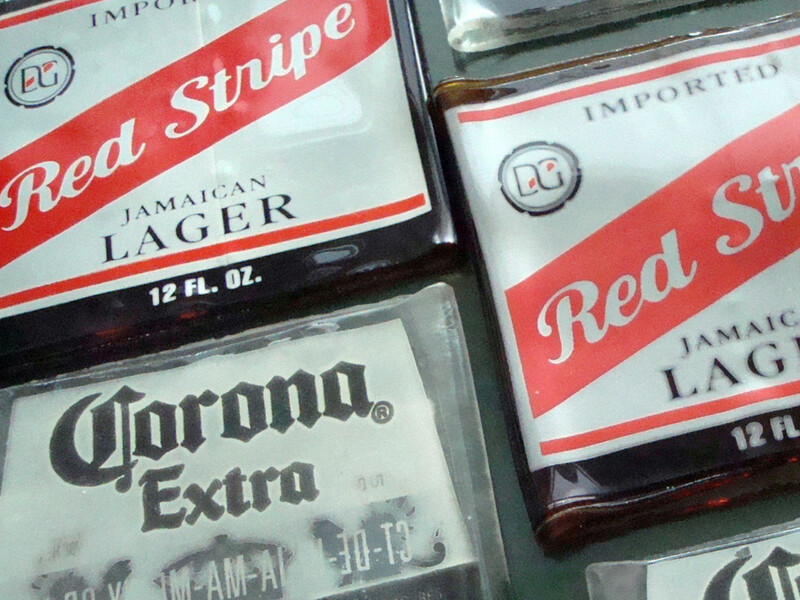 As I went through the hub, I couldn't get those Jamaican commercials out of my head for Red Stripe beer. Haha.